Protein arginine deiminases (PADs) catalyze the post-translational deimination of peptidyl arginine to form peptidyl citrulline. This modification is increased in multiple inflammatory diseases and in certain cancers. PADs regulate a variety of signaling pathways including apoptosis, terminal differentiation, and transcriptional regulation. 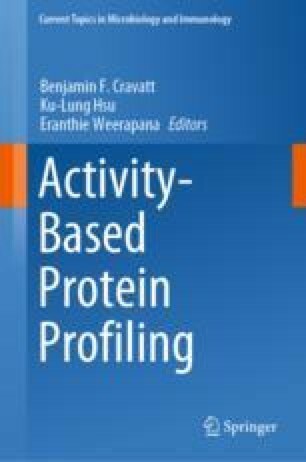 Activity-based protein profiling (ABPP) probes have been developed to understand the role of the PADs in vivo and to investigate the effect of protein citrullination in various pathological conditions. Furthermore, these ABPPs have been utilized as a platform for high-throughput inhibitor discovery. This review will showcase the development of ABPPs targeting the PADs. In addition, it provides a brief overview of PAD structure and function along with recent advances in PAD inhibitor development.